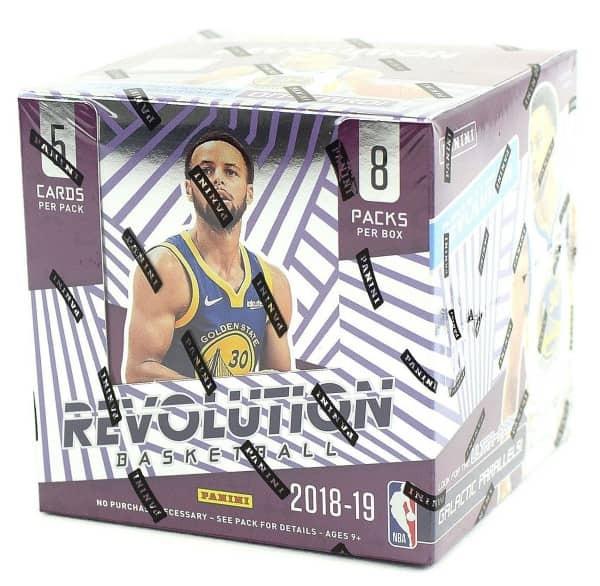 Factory Sealed 2018/19 Panini Revolution Basketball Hobby Box mit 8 Packs Per Box, 5 Cards Per Pack. 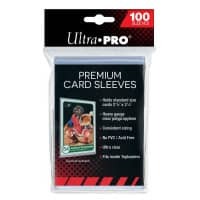 In jeder Box: 4 Rookie Cards, 4 Insert Cards und 4 Parallel Cards, im Durchschnitt ! Produktinformationen "2018/19 Panini Revolution Basketball Hobby Box NBA"
The top-tier autograph checklist includes current, retired, and rookies: Stephen Curry, Kevin Durant, Kyrie Irving, Charles Barkley, Reggie Miller, Allen Iversion, Deandre Ayton, Trae Young, and Luka Doncic! Revolution is one of the most unique collecting experiences of the year! 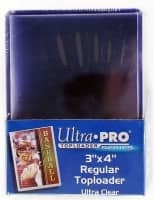 Look for unique versions of every Base and Rookie card on eye-catching holo card stock, including: Cosmic #'d/100, Sunburst #'d/75, Cubic #'d/50, and Lava #'d/10. Collect a variety of inserts, some familiar, some brand new, in the following: Vortex, Rookie Revolution, Shock Wave, Supernova, and Liftoff! Each has the following variations: Impact, Cubic #'d/50, and Galactic. 2018/19 Revolution features Rookie Cards of Deandre Ayton, Marvin Bagley III, Luka Doncic, Jaren Jackson Jr., Trae Young, Mohamed Bamba, Collin Sexton, Kevin Knox, Michael Porter Jr., Mikal Bridges, Wendell Carter Jr., Shai Gilgeous-Alexander, and Jerome Robinson! BASE/BASE LAVA/BASE GALACTIC: Revolution brings some of the brightest and most unique cards to the hobby table, combining foil accents with unique holographic card stocks. Keep your eyes open for the elusive Galactic versions! ROOKIE AUTOGRAPHS/ROOKIE AUTOGRAPHS INFINITE/ROOKIE AUTOGRAPHS KALEIDO: Find on-card rookies from the top of the 2018 NBA Draft Class along with Infinite versions #'d/25 and Kaleido versions numbered one-of-one! LIFTOFF! GALACTIC/AUTOGRAPHS/SUPERNOVA GALACTIC: Look for current and veteran on-card autographs (all autographs in Revolution are signed on-card), and a roster of colorful inserts to chase! Weiterführende Links zu "2018/19 Panini Revolution Basketball Hobby Box NBA"
Fanbewertungen für "2018/19 Panini Revolution Basketball Hobby Box NBA"